The plate will be delivered with a Certificate of Authenticity. 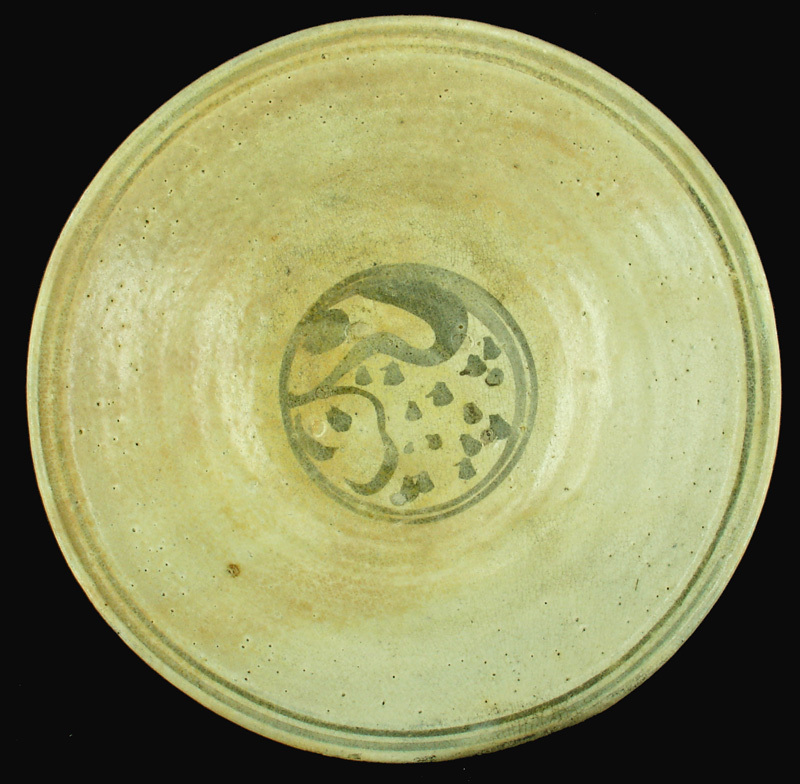 These underglaze painted plates were made in Sukhothai and Sisatchanalai from a gritty clay that could not be painted. 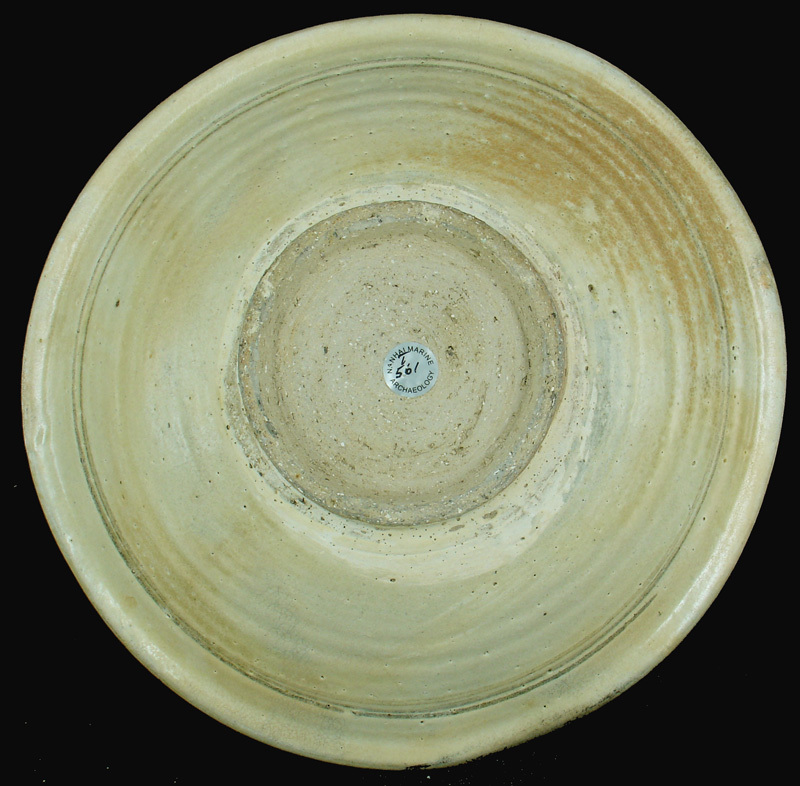 The potters therefore dipped the potted plate in a finer clay (slip) and then painted on top of this layer. 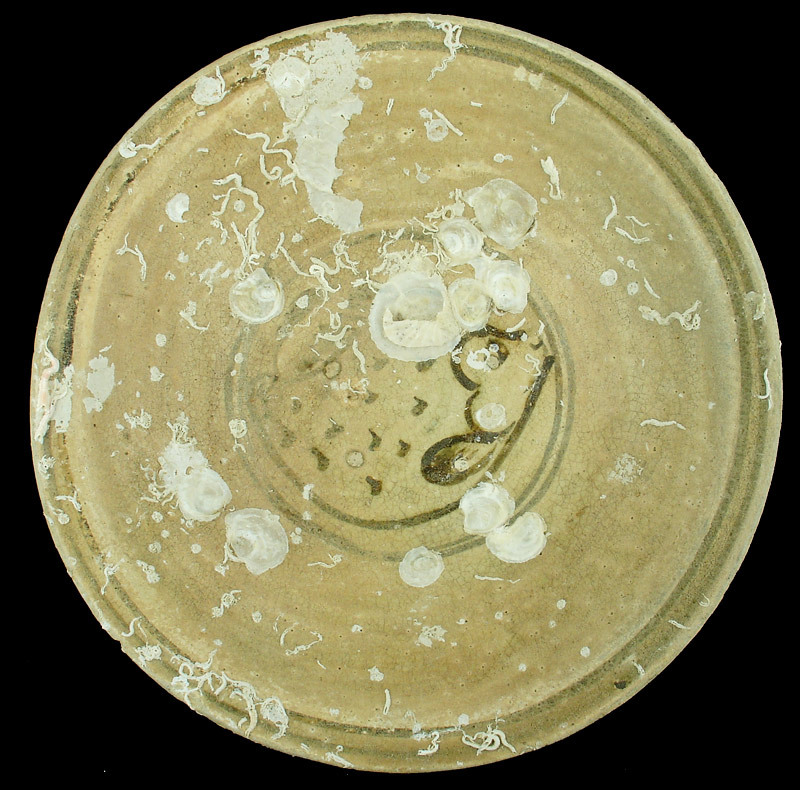 After painting, the plate was again dipped in a more viscous clay that, when fired, become transparent and thereby protecting the painted motif for eternity. This technique (of painting 'below the glaze') was developed in northern China 1.500 years ago and was later applied in the production of the better known blue & white porcelains. 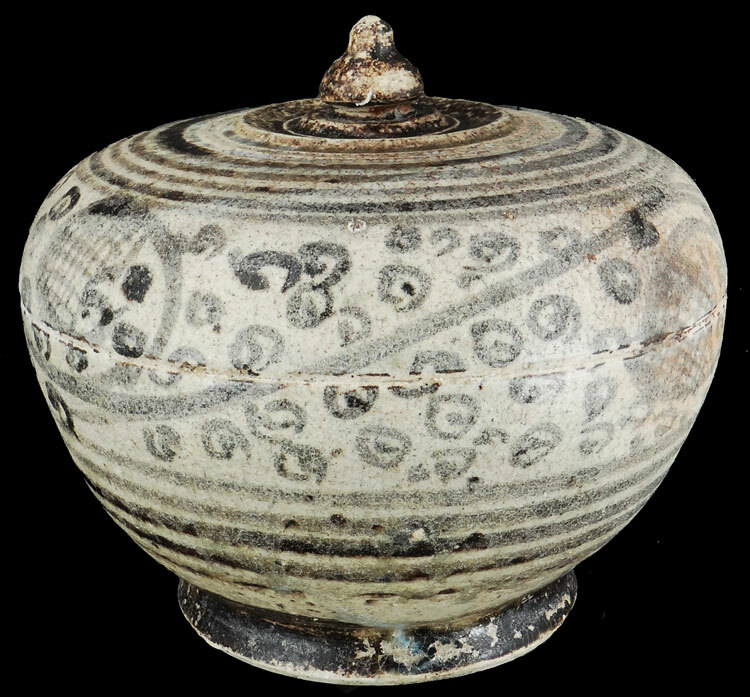 To fully appreciate the importance of underglaze decorated wares, read (or download) Sten's article published in The Malaysian Branch of the Royal Asiatic Society monograph: "Southeast Asia-China Interaction"
For more information about the underglaze pottery developments and the Turiang shipwreck which carried this type of historical pottery. 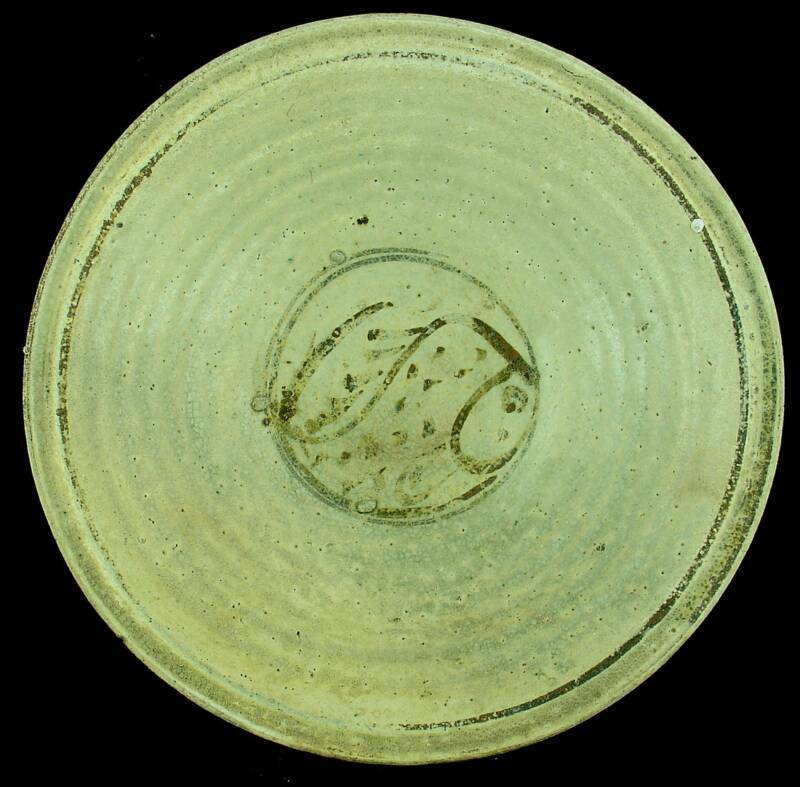 Another fish decorated plate from the Sukhothai kilns, recovered from the Turiang (AD. c. 1370) shipwreck. 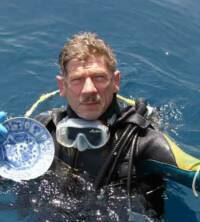 The plate is in remarkably good condition considering its long stay on the seabed. The plate will be delivered with a Certificate of Authenticity. 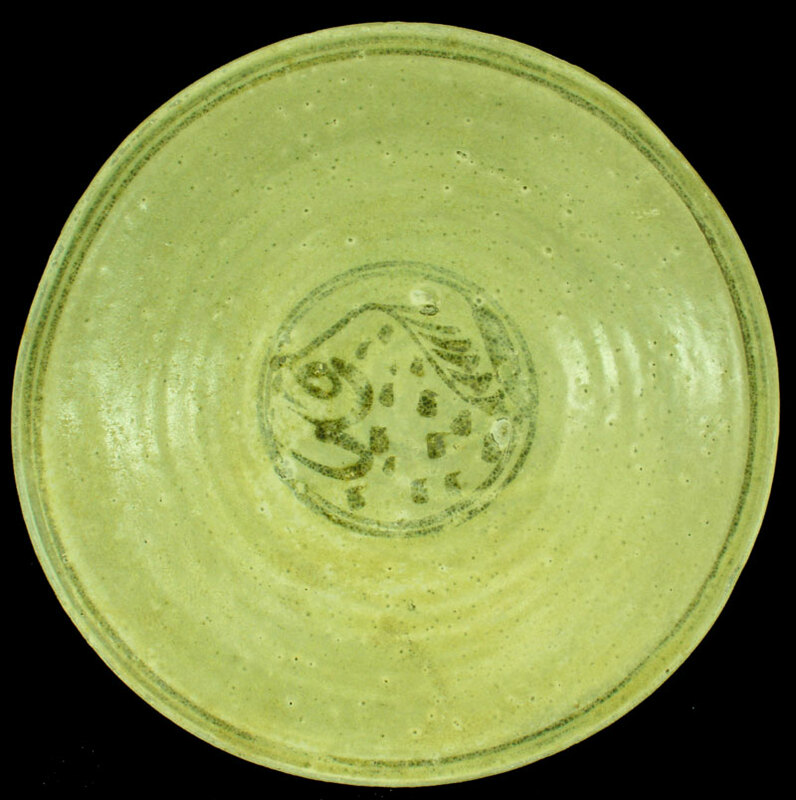 Good quality underglaze decorated fish plate from the Turiang (AD. 1370) shipwreck. 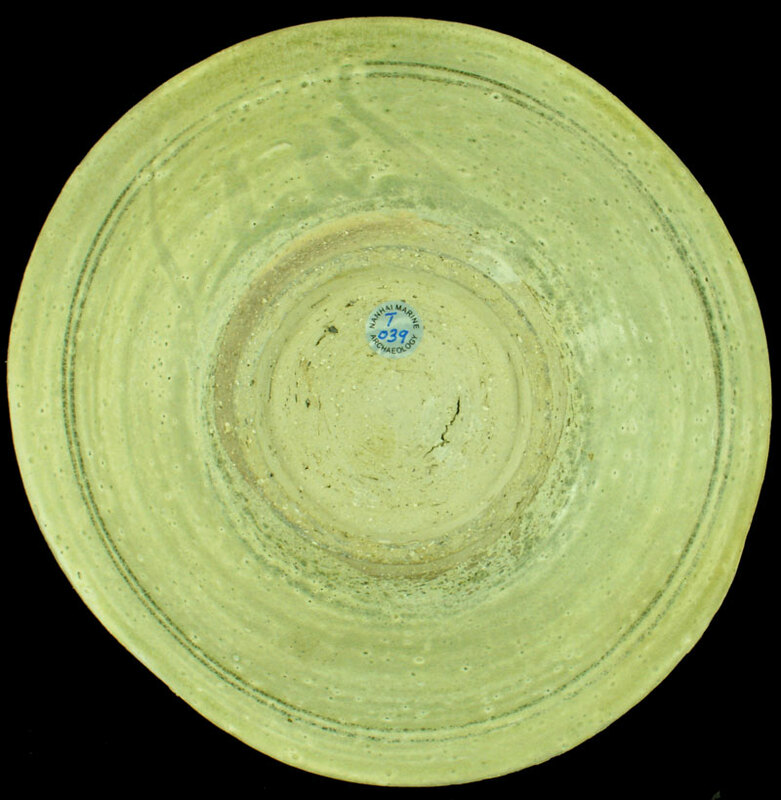 The plate was made at the Sukhothai kilns by immigrating potters from Cizhou in northern China. 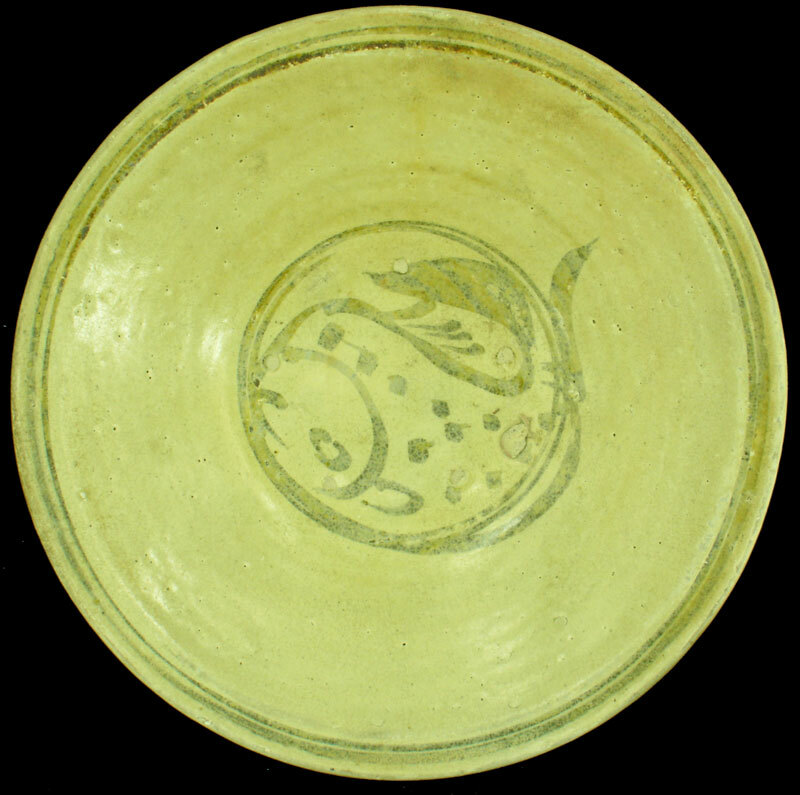 The underglaze decoration in iron oxide shows a stylized fish motif typical of the 14th -15th century production at Sukhothai. 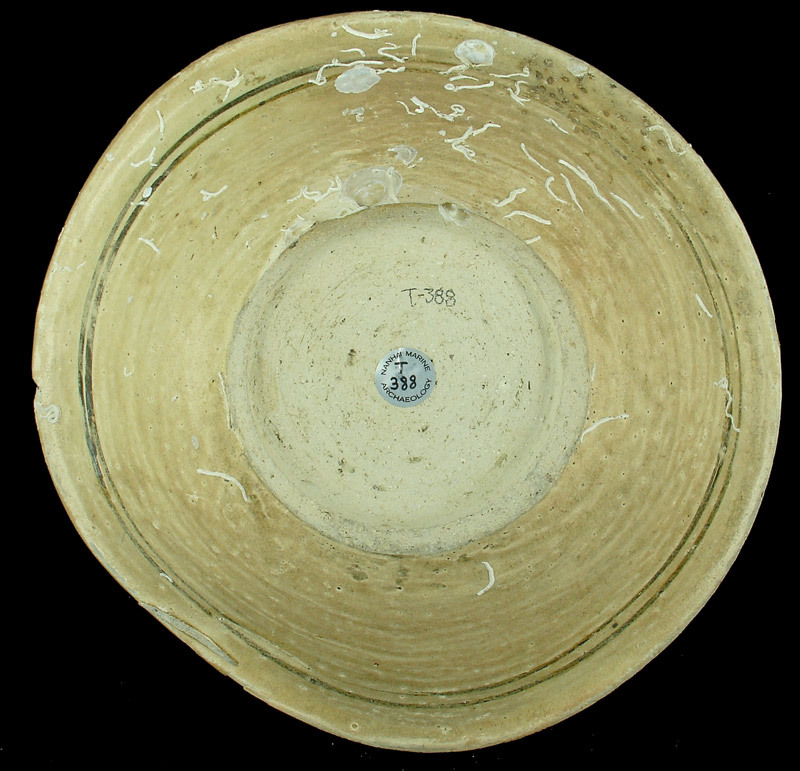 The plate is in very good condition and partly covered by marine growth . 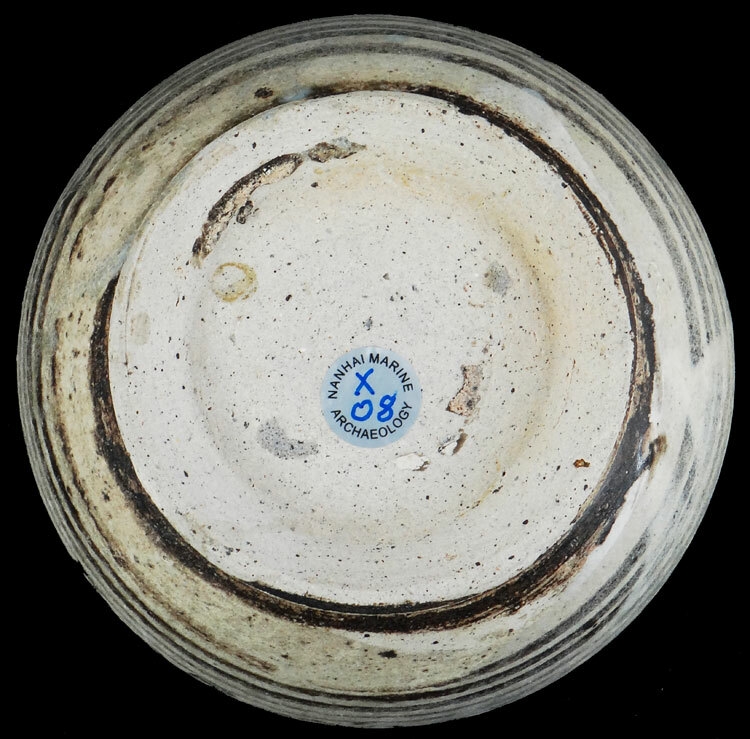 The base shows the typical Sukhothai clay with white (quartz) impurities. See where these underglaze pieces were made centuries ago! 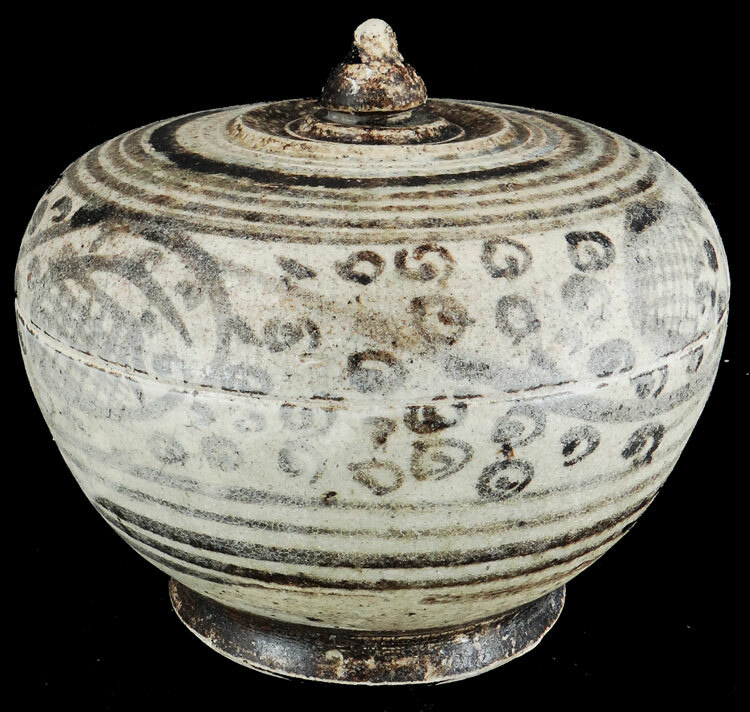 For an online article about the historical importance of the Turiang underglaze painted wares, click here.